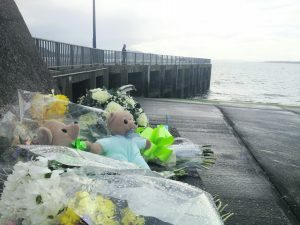 Louise James said there are no words to express her ‘pain, disbelief and anger’ following the Buncrana Pier drowning tragedy that claimed the lives of her sons, partner, mother and sister. 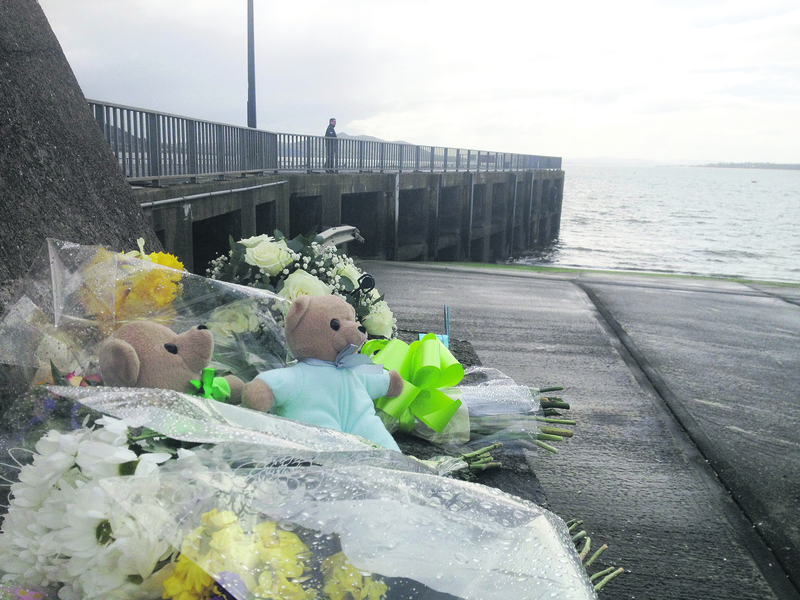 Flowers and other tributes laid at the slipway at Buncrana Pier after the drowning tragedy in March 2016. At a two-day inquest in the Lake of Shadows Hotel, it emerged that Sean McGrotty had been more than three times the drink-drive limit when his car went off the slipway and into Lough Swilly in March last year. Ms James, who plans to sue Donegal County Council and the estate of her dead partner, said the slipway should have been closed to the public and that ‘proper warning signs’ should have been displayed. She said the tragedy was an “accident waiting to happen”. Extensive coverage from the Buncrana Pier Tragedy is published in this week’s Inishowen Independent.